Allow to upload video ( MP3,FLV, MP4, SWF) and all image formats. Allow to use video from youtube. 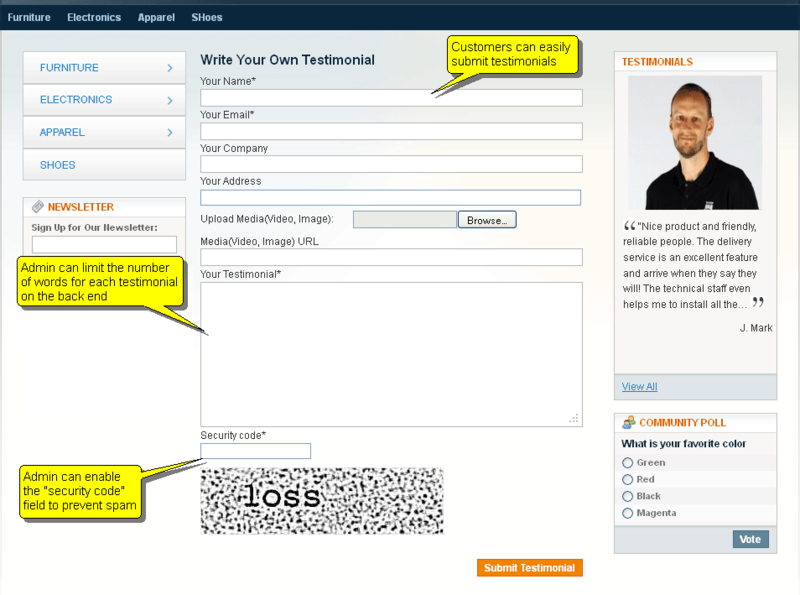 Allow limiting number of words on each testimonials that will be displayed on block on left or right side bar. The extension supports to display 12 display modes with special effects such as fade, fadeZoom, cover, uncover, shuffle, zoom, wipe, toss, turnDown, turnUp, scrollDown, scrollUp. + Notify the administrator of new testimonial. * Fixed bug "can not view media files that are uploaded by customer"
Great extension. 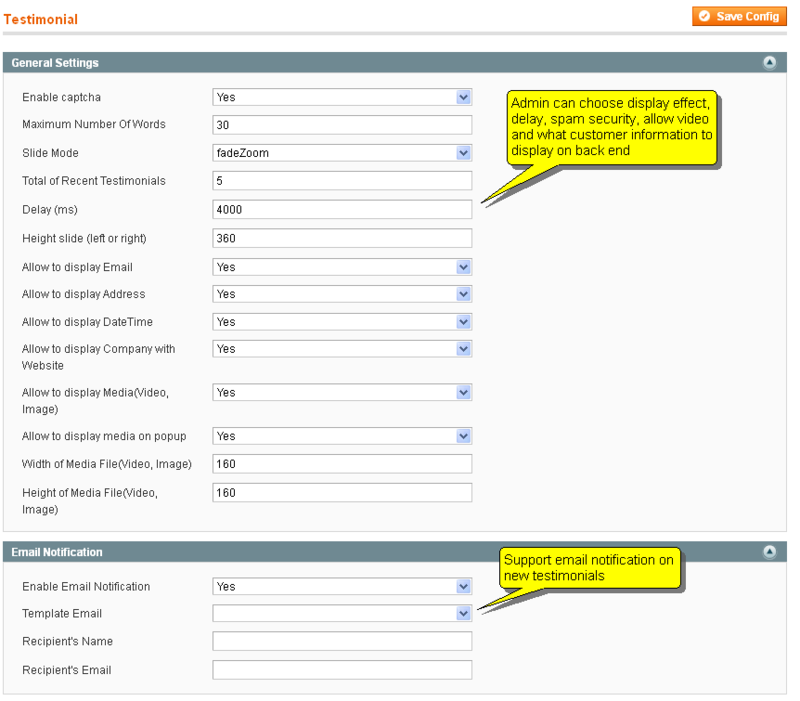 I have installed the extension on my site and I get problem with ajax conflict with exist slider. I asked MageWorld Support and they fixed it in 5 minutes. Thanks MageWorld, Highly recommended to every one. The extension is simple and very easy to install. I want to customize the style so it's suitable with my theme, and MageWorld have done it free for me and they did very fast. That is best support I have ever saw. Thanks. Nice testimonial module. Nothing more nothing less. Really nice extension. Working fine on my site. very easy to customize. Thanks. I want to recommend this extension to every one. Because I'm using this and I happy with this extension. The support is also very great and helpful. 1, Copy folder app, skin, js into magento root. 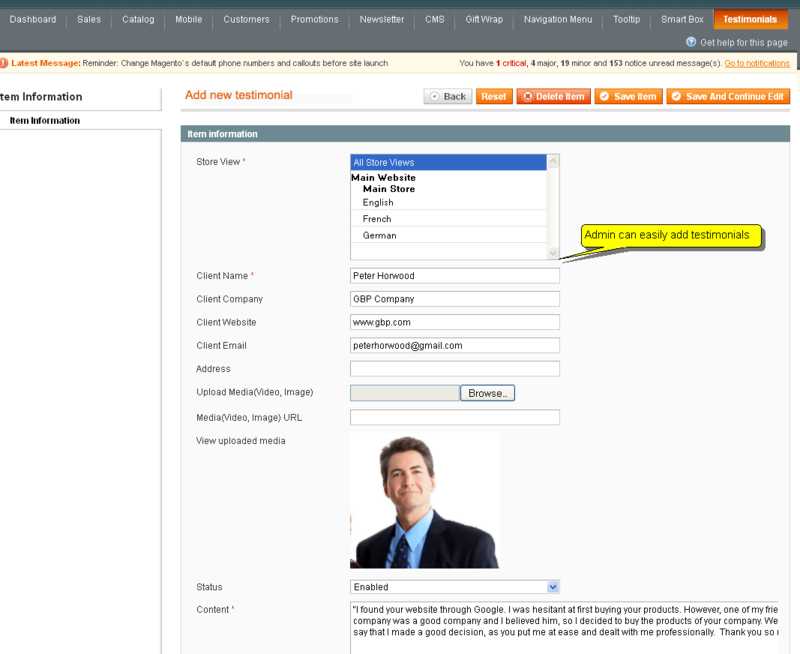 2, Go to Admin, and making sure that the cache have been cleared then you will see the tab Testimonials in admin panel. 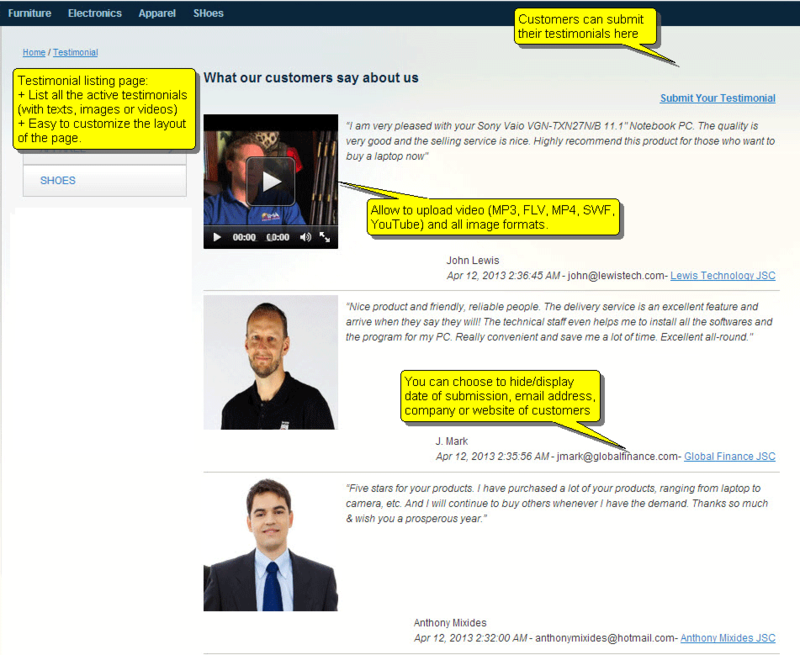 3, Goto System-> Configuration-> Testimonial ( in section HELLO MAGENTO EXTENSIONS in the left side). Slide Mode: Allow you to select one of many slide views. 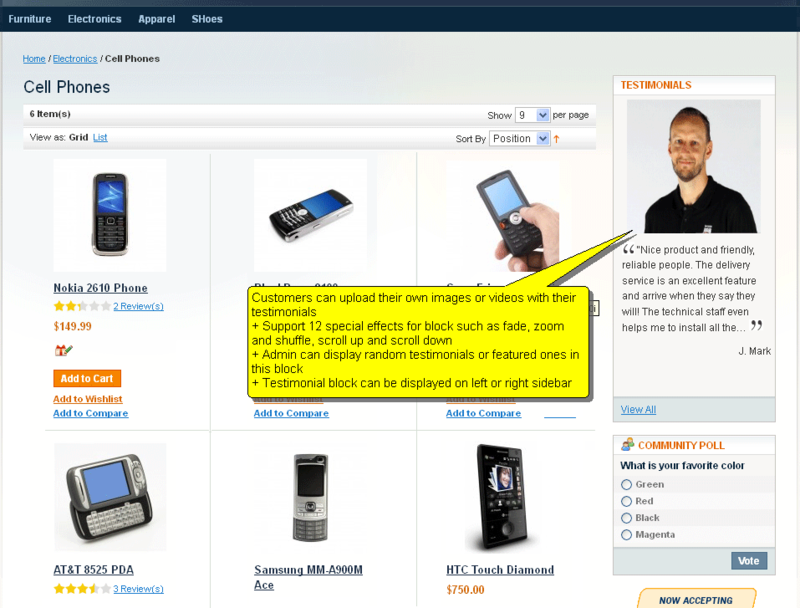 5, Call Testimonials block into left side or right sider bar. if you want put the testimonial block into right side bar, please uncomment line 4-10, and comment line from 11-17. 2, testimonial_advance.phtml is advance block with nice design.